Palm Point’s unique geographic location makes it a magnet for some of the most spectacular migratory and local bird populations. Brilliant wildflowers attract many native butterfly species, while Newnan’s Lake provides excellent opportunities for alligator sightings and some of the best bank fishing this close to town. 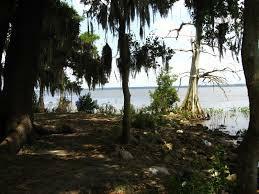 This 17 acre park is located along the shore of Newnan's Lake at 7401 Lakeshore Drive and has been referred to as "a true gem among Gainesville's nature parks". While there's no bus service to this spot, it does have ample parking, picnic areas, phones, and hiking trails (bring Fido on a leash). And we haven't even mentioned the fishing! Palm Point anglers are there for some of the best bank fishing close to town. You might see a gator or two. You will certainly see migratory birds and (seasonally) exceptional butterflies on the blooming wildflowers too! Don't forget to turn off your computer before you head out to this wonderful park.